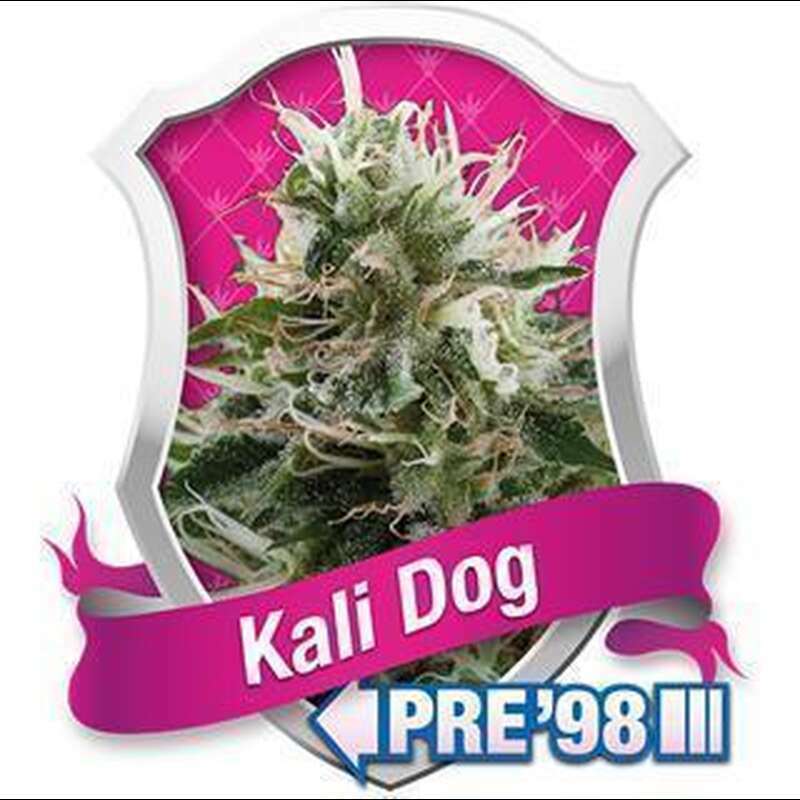 Kali Dog is a fine example of the strong genetics coming from growers in the USA. Though a Sativa dominant, there is strong influx of Indica traits from its great genetics; big dense buds, strong skunky odours, full-flavoured and heavy-hitting. Originally bred over 20 years ago, this powerful strain has a strong, almost overwhelming, lemon fuel flavour. Growers will love this strain, both for its compact, dense growth and its generous yields. Indoors, 600 grams per square metre, grown under a 600 watt HPS, are easily produced. It is a heavy feeder so it can happily absorb strong bloom boosters and nutrients. Though it can be a bit more difficult to grow, the plant tends to like lower humidity levels, as it can be at risk of bud rot, mould or powdery mildew. This, however, is mainly due to its heavy, dense buds ? so as long as you take care with the plant, it is more than worth the extra attention. It responds well to cropping and trimming and we advise you not to let it grow too tall during vegetative growth as the plant tends to stretch during the first few weeks of flowering. Flowering takes around 8 to 10 weeks, with around 9 being the average.